When you get an equation, usually you want to solve it and find the answer. 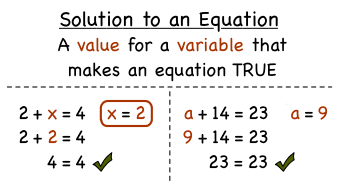 This tutorial explains what it means to find the solution to an equation. Take a look! How Do You Solve an Equation Using Multiplication?